This colourful painting is by British Goldsmith's College and Newlyn School artist Edward Bouverie Hoyton. This Post Impressionist oil painting was painted circa 1930. 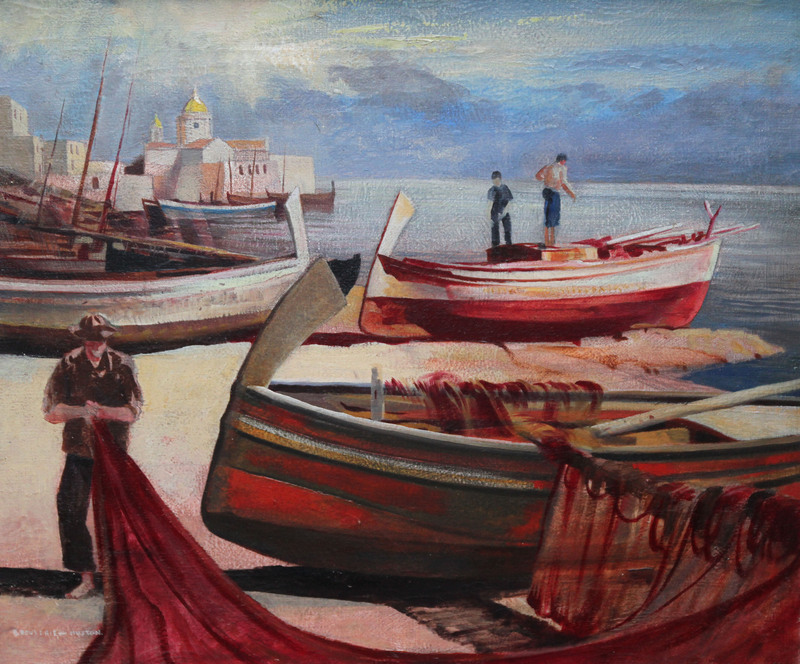 The setting is Malta and there are several beached fishing vessels on the shoreline whilst in the background is a village. In the foreground a barefoot man attends to his nets. The boats and netting are wonderful red and orange tones making this a lovely colourful painting. The sun is breaking through the clouds and giving the scene a lovely glow. Signed lower left. 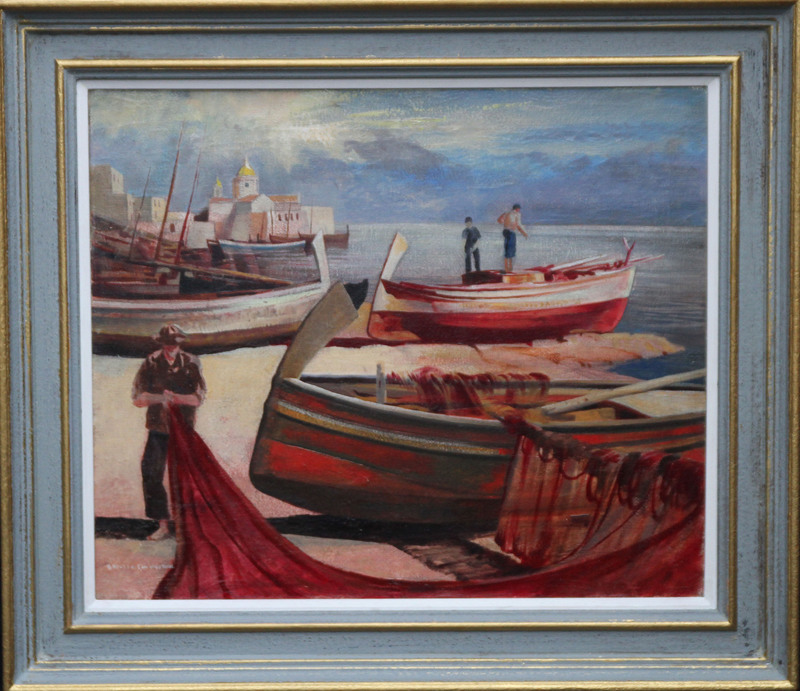 Housed in a complementary gallery frame 31 inches by 27 inches and in excellent condition.